Bench boss won three Stanley Cups with Blackhawks in nine years. The Chicago Blackhawks have decided to pursue a new direction behind the bench. The Blackhawks became the second NHL team in three days to fire their bench boss when they announced on Nov. 6 that longtime head coach Joel Quenneville had been relieved of his duties. Chicago assistant coaches Ulf Samuelsson and Kevin Dineen were also cut loose. The Blackhawks promoted coach Jeremy Colliton from the AHL’s Rockford IceHogs to lead the big club and moved Barry Smith from the front office to the assistant coaching role. The move followed the firing of Los Angeles Kings head coach John Stevens on Sunday, 13 games into his second season at the helm. He was replaced by interim head coach Willie Desjardins. Unlike the Kings, who are dead last in the NHL at 4-8-1, the Blackhawks are 6-6-3 and two points out of a Western Conference wild card spot. They’re also sixth out of seven Central Division teams and in a three-way tie for 20th overall. Chicago has several underlying factors suggesting a need for change, however. A team that still has Jonathan Toews, Patrick Kane, Brent Seabrook and Duncan Keith as core pieces has gone 3-6-1 in their last 10 games and is on a three-game losing streak. The Blackhawks have been outscored 56-46 by their opponents. 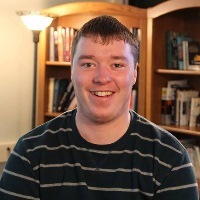 Their 14.0 power play percentage is 27th in the NHL and their penalty kill rate of 76.6 percent is tied with the Columbus Blue Jackets for 22nd. Veteran starter Corey Crawford has also struggled in net with a 3-4 record, 2.92 goals-against average and a .907 save percentage. Cam Ward hasn’t been much better as a backup, posting a 3-2 record, 3.93 goals-against average and a .887 save percentage. The Blackhawks’ fall from grace in recent years hasn’t all been on Quenneville, who was the NHL’s longest-serving active coach before his dismissal. Quenneville’s 890 regular-season wins over 22 years with Chicago, the St. Louis Blues and Colorado Avalanche are the second-most of all-time behind Blackhawks senior advisor Scotty Bowman’s 1,223 victories. Since the 2008/09 campaign, when Quenneville took over from Denis Savard four games into the regular season, he has gone 452-249-96 in 797 games. His 76-52 playoff record is the best in Blackhawks’ franchise history. Quenneville coached Chicago to three Stanley Cups in 2010, 2013 and 2015, along with two Western Conference finals in 2009 and 2014. The leash from Bowman’s son, Blackhawks’ general manager Stan Bowman, for Quenneville has likely gotten shorter since the team’s last championship run. The 2015 Cup was followed by two consecutive first-round exits – including a sweep against the Nashville Predators in 2017 – then missing the playoffs last year. The Blackhawks have been dismantled a few times over as well, with the salary cap space devoted to their core pieces putting room for extra depth players at a premium. Chicago now has a combined $21 million per year for Toews and Kane counting against the cap until 2022/23, plus a $10.5-million annual total owed to Brandon Saad and Artem Anisimov through 2020/21. On defence, the Blackhawks are on the hook for a combined $12.4 million for an aging Keith and Seabrook until 2022-23, with Seabrook being paid through 2023/24. Then there’s Crawford’s $6-million cap hit that continues through next season. It goes without saying it’s hard to build for another deep postseason run with almost $50 million in cap space allocated to seven players. That’s on the general manager, who probably looked like a genius by constantly retooling after every Stanley Cup run and keeping the team competitive until Toews, Kane and other role players got big paydays. That made trading Artemi Panarin to Columbus and Teuvo Teravainen to the Carolina Hurricanes necessary as salary dumps, although Panarin and Teravainen have both been productive in their new homes. Quenneville, 60, also had a full year left on a three-year contract worth $6 million annually from 2016. Trading the Blackhawks’ big names is easier said than done, given their hefty salary cap hits and how retaining money would still handcuff the team financially. That leaves the youthful Colliton to attempt to maximize what’s left in Toews, Kane, Saad and Seabrook’s tanks and make the best of a declining top-two defensive pairing. At 33, Colliton is now the NHL’s youngest active head coach. Keith, Crawford and forward Chris Kunitz are all older than Colliton, who’s the same age as Seabrook. Colliton led the IceHogs to the third playoff round last year after a 40-28-8 regular season. He previously coached Mora IK, a Swedish professional team. Another disappointment this year may mean a rebuild or serious retool is in order for the Blackhawks. What do you think? 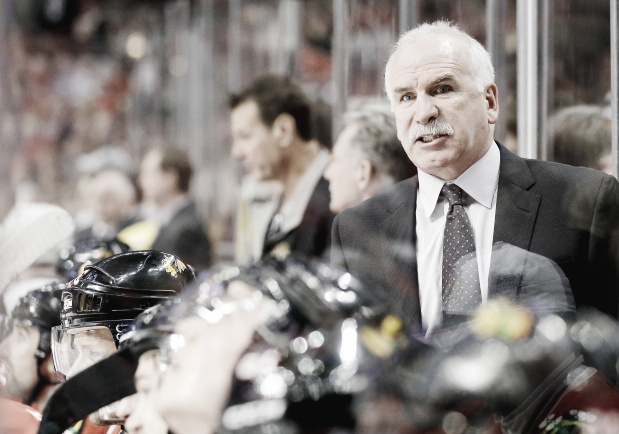 Should Joel Quenneville have been fired? Who could replace him? Let us know in the comments section below!